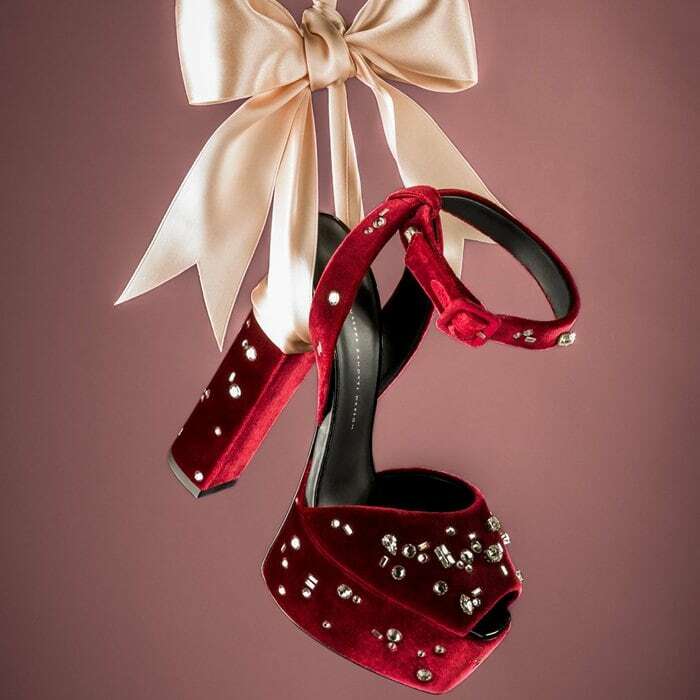 Crafted in the legendary shoemaking district of San Mauro Pascoli in Italy, Giuseppe Zanotti‘s ‘Betty’ sandals feature an open toe, a toe strap, an ankle strap with a side buckle fastening, a branded insole, a platform sole, and a high heel. You can buy them at GZ Design and Farfetch. 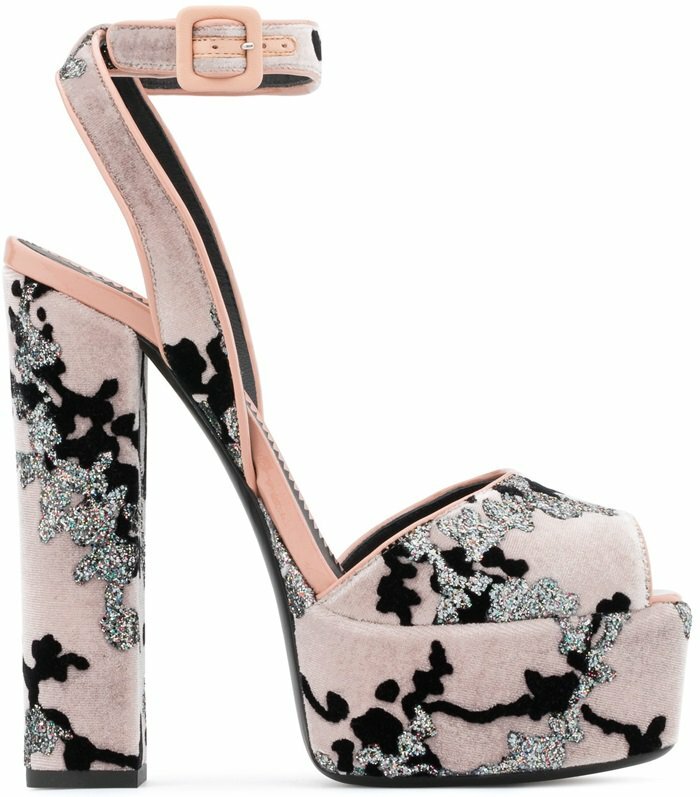 Several celebrities have been spotted wearing these towering platform sandals. Who do you think styled them best? While not visible due to the length of her stunning dress from Carolina Herrera, Saoirse Ronan rocked silver Betty platform sandals on the red carpet at the European premiere of ‘Mary Queen of Scots’ at Cineworld Leicester Square in London, England. 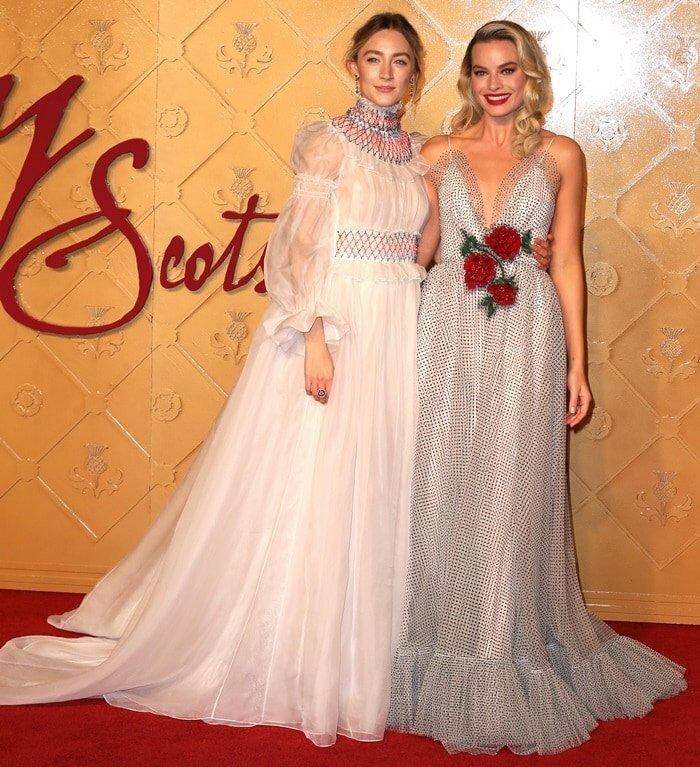 Her co-star Margot Robbie donned a Rodarte Spring 2019 gown that was adorned with flocked polka dots and embellished rose embroidery at the waist. 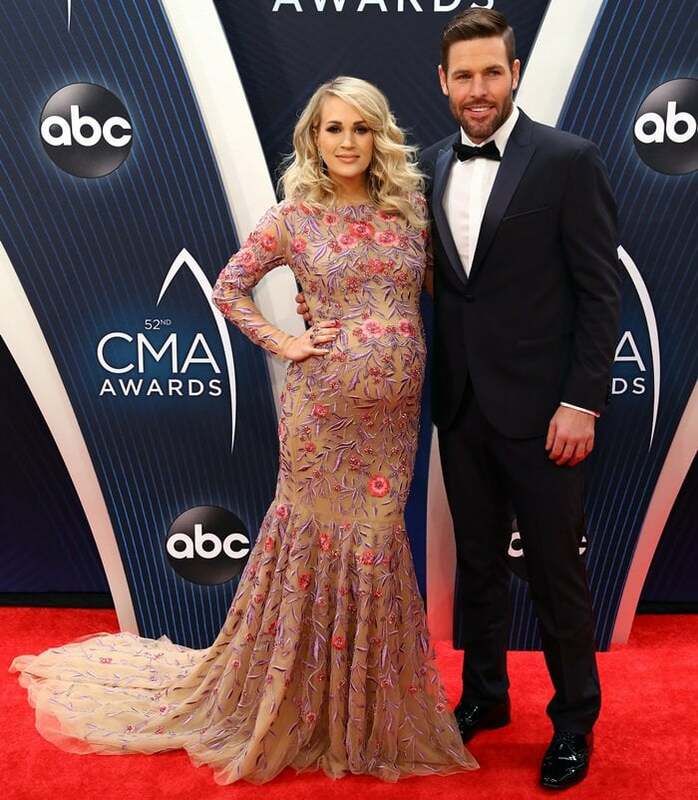 The glowingly pregnant Carrie Underwood was joined by her husband Mike Fisher on the red carpet at the 2018 CMA Awards at the Bridgestone Arena on Wednesday in Nashville, Tennessee. The 35-year-old “Before He Cheats” singer donned a custom Uel Camilo embroidered floral gown that unfortunately made it impossible to see her rose gold Betty platform sandals. She accessorized with an Anabela Chan rose pink sapphire ring and dazzling earrings by JN Jewels. 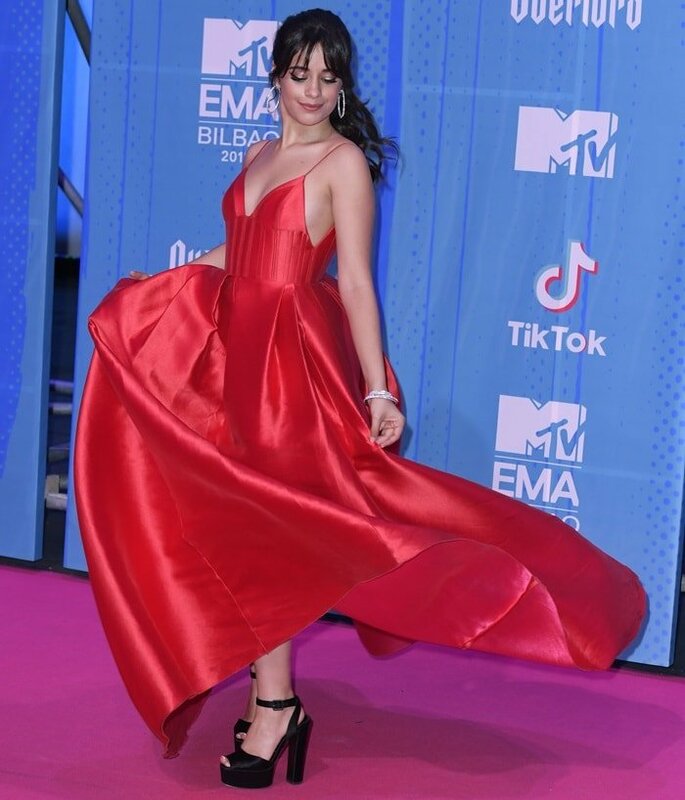 Camila Cabello looked like literal royalty in an Alder pleated duchesse silk-satin gown from Alex Perry’s AW18 ready-to-wear collection that you can buy for $3,720 at Net-A-Porter. Her dress is cut to fit closely through the seamed bodice and pleated at the waist to create show-stopping volume. She styled her royal red dress with glittering diamond jewelry from Norman Silverman and black platform ‘Betty’ sandals from Giuseppe Zanotti. 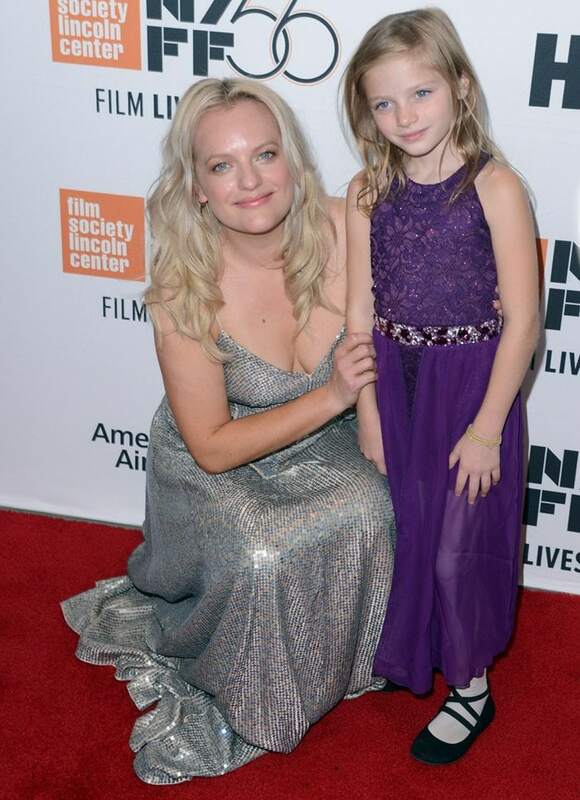 The 36-year-old ‘Handmaid’s Tale’ actress went glamorous in a sparkling silver floor-length gown from Christian Dior‘s Pre-Fall 2018 Collection for the premiere of ‘Her Smell’ during the 2018 New York Film Festival at the Alice Tull Hall at Lincoln Center in New York City. 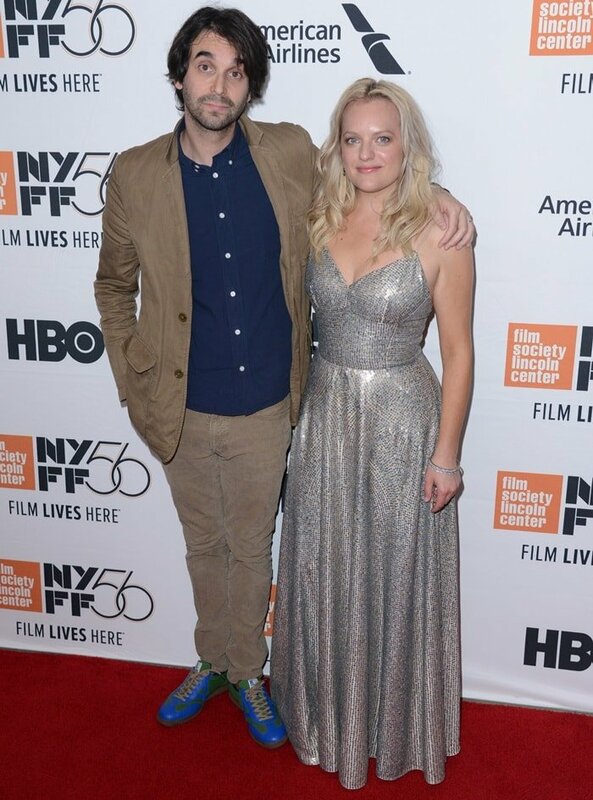 Elisabeth Moss accessorized with metallic Giuseppe Zanotti ‘Betty’ platform shoes, an Edie Parker clutch, and Jacob & Co. jewelry. Unfortunately, her stunning sandals could not be seen due to the length of her dress. She was joined on the red carpet by director Alex Ross Perry and fellow cast mates Gayle Rankin, Daisy Pugh-Weiss, and Eric Stoltz. The 45-year-old American actress, activist, and author joined Ashlee Simpson and Vanessa Hudgens at the 2018 Michael Jackson Diamond Birthday Celebration at Mandalay Bay Resort and Casino in Las Vegas. Gabrielle Union looked fantastic in a statement-making gown from the Abodi Fall 2017 Collection featuring a dramatic extra layer. One of the best dressed at the event, she perfected her look with black platform sandals from the Italian shoe maestro. The 23-year-old American ‘Riverdale’ actress joined Anna Kendrick and Lili Reinhart at the 2018 Teen Choice Awards held at The Forum in Inglewood, California. She won Choice Hissy Fit for her performance in the American teen drama television series based on the characters of Archie Comics. Madelaine turned heads in a floral and lace bra with matching pants from Giambattista Valli‘s Spring 2018 Collection. She accessorized with hoop earrings boasting inner baby pearls ($440 at Luisaviaroma) and other jewelry from APM Monaco. How do you like her flirty ensemble? Bella Thorne looked stunning in red as she dropped her car off at the valet while arriving at the Four Seasons Hotel in Beverly Hills, California. The 20-year-old actress flashed a huge smile while matching her fiery red hair with a red coat, a thick black belt, skintight red leather pants, and red satin platform heels for her meeting. Lupita Nyong’o looked absolutely stunning in gold metallic ‘Betty’ platform sandals at the ‘Black Panther’ premiere held at the Dolby Theatre in Hollywood. 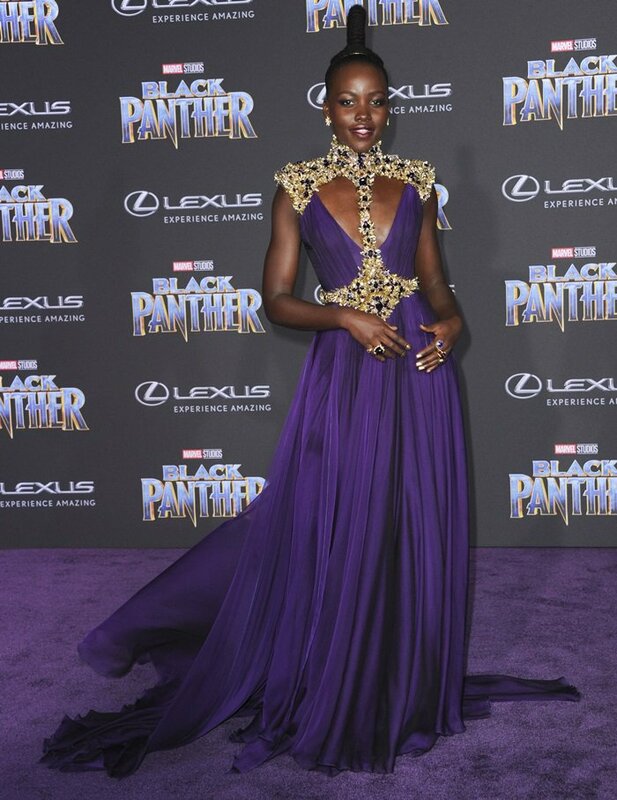 The 34-year-old Kenyan-Mexican actress styled her towering heels with a custom Atelier Versace purple embellished gown featuring a plunging neckline and eye-catching jewel caged harness. She accessorized with Beladora jewelry. 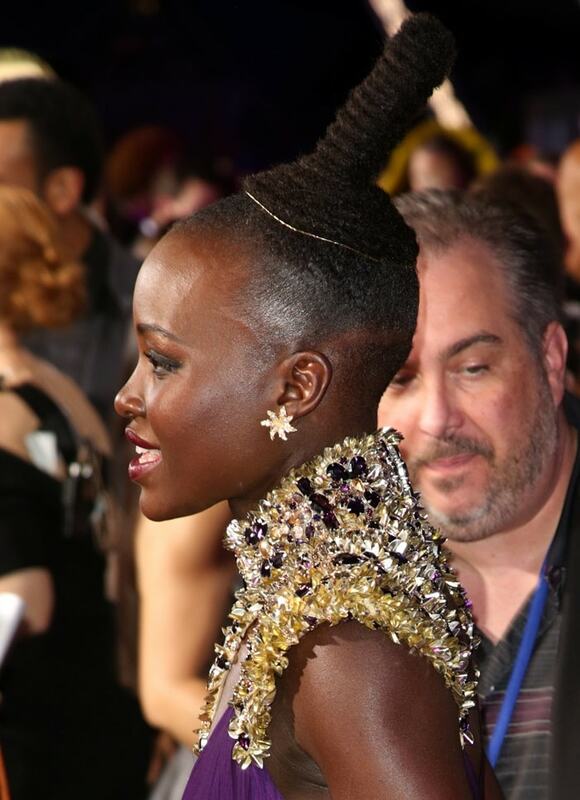 Unfortunately, Lupita’s heels could not be seen due to the length of her beautiful embellished dress. Last December, Demi Lovato hit the red carpet in the press room at 102.7 KIIS FM’s 2017 Jingle Ball presented by Capital One at The Forum in Inglewood, California. During the show, she was joined by Trevor Dahl from Cheat Codes for their song “No Promises”. The 25-year-old Grammy nominee took a gigantic fashion misstep in a monstrous Frolov Spring 2018 gold jumpsuit featuring one beige pant leg and an embellished counterpart. Her makeup by Jill Powell was golden bronze while her long dark hair was parted down the middle. The homeschooled millennial completed her ensemble with big gold hoop earrings, a garish belt, and gold mirror leather ‘Betty’ platform sandals from Giuseppe Zanotti that we have also spotted on Jessica Alba and Alexis Bledel. You can buy them at GZ Design. 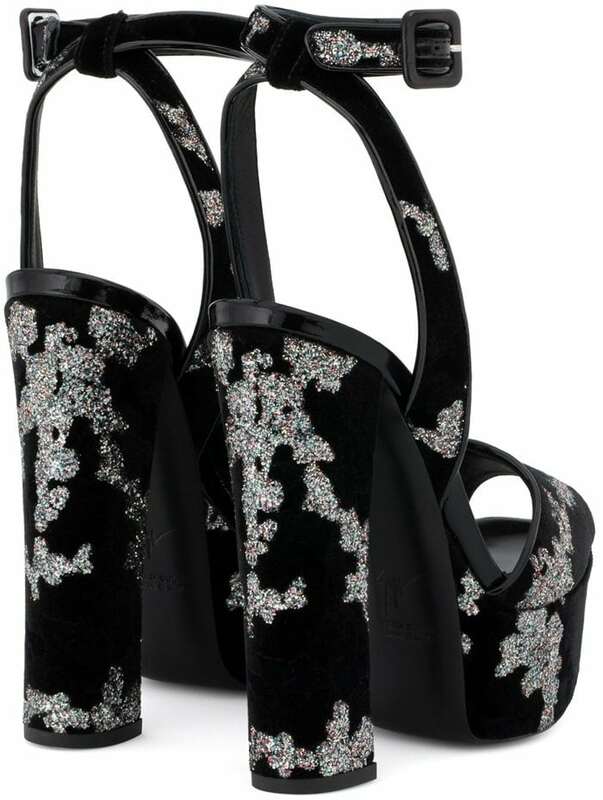 Black leather and suede crystal sandals featuring a peep toe, an ankle strap with a side buckle fastening, a brand embossed insole, and a platform sole. 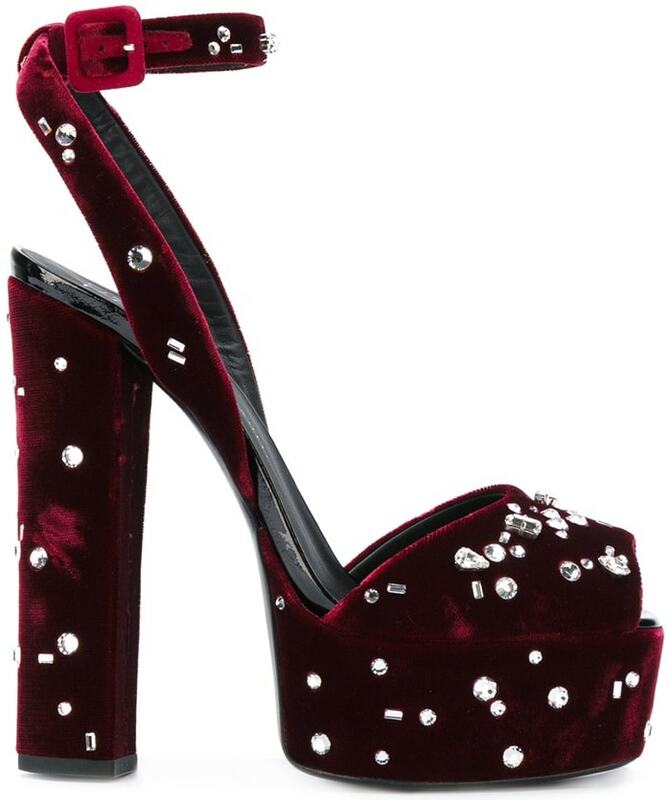 These burgundy and silver-toned velvet and leather embellished platform sandals are a wardrobe must-have and feature a platform sole, an open toe, a chunky high heel, silver-tone stud detailing, and an ankle strap with a side buckle fastening.